The PTFE Oven Mat & Liner is not only a convenient product, but also a very important cooking device that promotes healthier eating. It reduces calories because the liner enables you to cook without adding other fat or grease. 1. 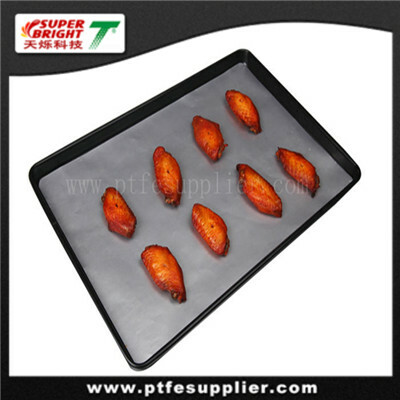 PTFE Oven Mat & Liner can be used to protect the bottom of the microwave/ oven/grill/pan/pot/frying pan ,etc. against splashes, messy drips, fat, burn-on sugar & oven messes, keep your utensils clean.